China is going to provide Ukraine with $15 billion in loans over 15 years to support construction of affordable housing, said Ukraine’s Ministry of Regional Development. The interest rate will be minimal and the loan could be extended. 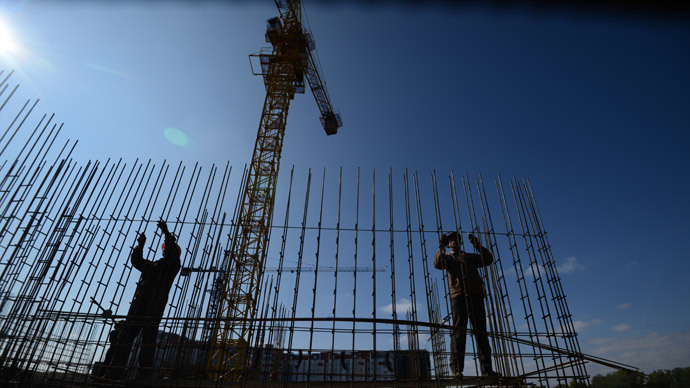 "The Chinese CITIC Construction Co., Ltd is ready to invest $15 billion in Ukraine’s construction market, which will help solve the problem of affordable housing in the country...” the ministry said Thursday in a statement. The project is aimed at meeting the country’s public housing policy, of forming a social housing fund and building affordable homes and improving the infrastructure. Ukraine will implement a pilot $1 billion project to build affordable housing where CITIC will act as the general contractor. Earlier in March head of Ukraine’s Ministry of Regional Development Gennady Zubko said the country was in talks with China over attracting investment to implement a program of renting real estate with an option of further acquisition. The amount of investment and the terms wasn’t specified. Financial arrangements with China traditionally require the fulfillment of a number of conditions, such as involving a workforce and technology from China. In spring 2011 Ukraine and the Export-Import Bank of China signed an agreement to build a high-speed railway line between Kiev and Borispol International Airport, as well as the $2 billion of infrastructure projects in the Kiev region. Construction hasn’t begun, as not all the terms of the financing have been agreed.